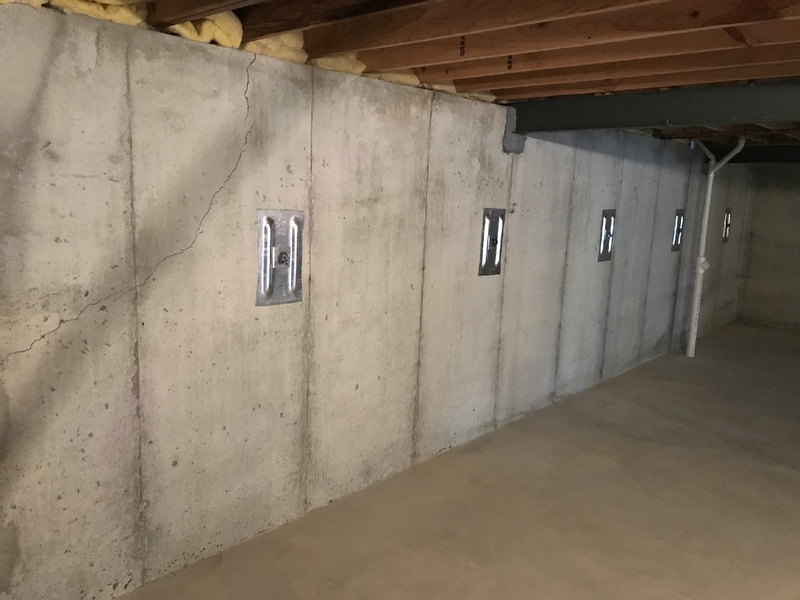 Your foundation walls are designed to withstand the weight of your house and its contents but they also must be able to handle the pressure of soil pushing in laterally. Structural problems with your foundation walls can lead to devastating damage to your home, even wall collapse. 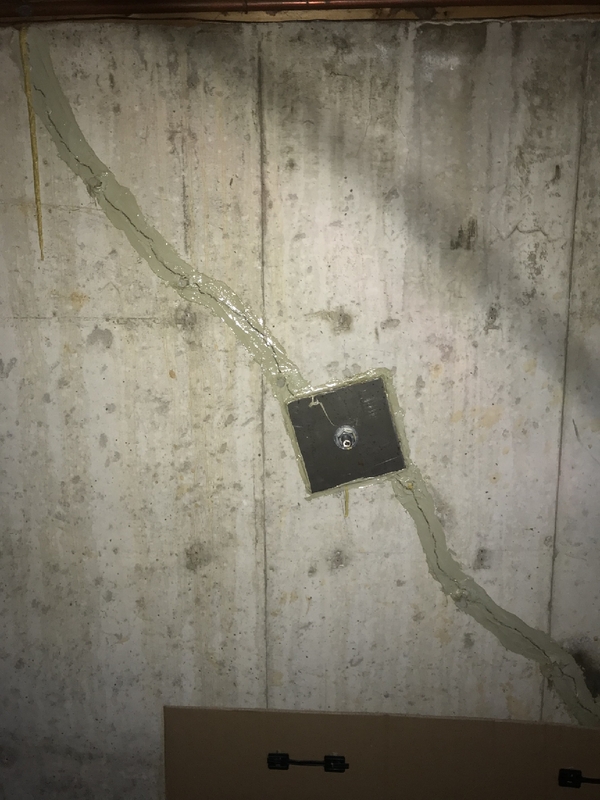 If you have cracks in the corners of your foundation or horizontal or stair step (cracking along the mortar in a cinder block wall), you should seek professional help. Even without cracking, your walls may bow inward due to the soil pressure pushing in. Changes in the moisture and temperature throughout the changing seasons can severely damage your foundation walls. Bowing and cracks can also occur if a heavy front porch or sidewalk is putting pressure on the front wall. Fortunately, there are several ways to remedy the problem, depending on the severity. These are used when the damage is minor. Carbon fiber is an extremely strong material and is woven into strips that are epoxied onto the wall. They’re virtually indestructible and won’t stretch or break. Once completed, the repair is permanent and requires no further maintenance. You can even paint over it so you hardly know it’s there. It’s also relatively inexpensive but unfortunately, carbon-fiber reinforcements can only be used on smaller repairs. Also known as tie-backs, these systems are used when there is more severe damage such as a wall shifting back more than a couple of inches or bowing is more pronounced. To install the system, anchors are inserted deep into the soil to relieve the pressure and disperse the load. Once this has been done, the foundation walls can be moved back into alignment. Visit the Wall Anchor page for more information. Other methods for structural repair include steel posts, block or concrete piers, and reinforcing bars. 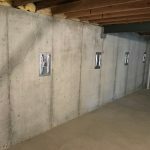 The experts at Adams Foundation Repair can determine which solution would work best for stabilizing your foundation walls safely. 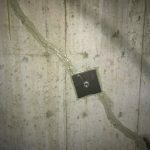 Foundation damage should always be assessed and repaired by an experienced professional.